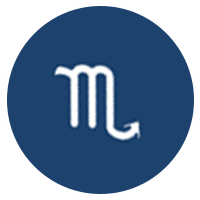 2019/02/12 Career and work are highlighted this year, Scorpio. You may acquire more responsibility and be more in the public and professional eye. This may be uncomfortable during the first half of the year, but persevere and believe in yourself, your talents and knowledge. Sharp instincts will alert you to any unfitting challenges. Be practical but not aggressive in standing up for yourself.If youre job searching, unexpected opportunities could pop up in February. Be open. If impatience mounts in February, take a deep breath, stick with it, and keep the faith. Finances look secure, so give things the time they need.